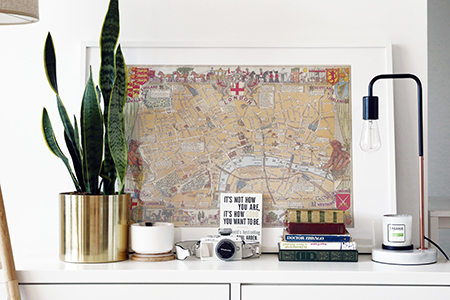 ABOVE: A vintage map of London reminds me of home. The small all-white space is the perfect canvas to experiment with a Scandinavian aesthetic. LEFT: The view of the CBD from my bedroom. BELOW: Finally, a minimalist kitchen that requires little renovation! All I want to do is to replace the counter and backsplash with marble, and swap the steel handles for brass. While I may well never recover from the shock of discovering that the same avocado that would cost me 90p in Waitrose costs $6.99 in Coles *screams in British accent* there is a way to circumvent the ridiculous prices on imported products: BUY LOCAL*. There is a wealth of Australian beauty products born out of the country’s great natural bounty, which I’ll share in an upcoming post about the best of Aussie skincare brands. More of my beloved Made In Australia treasures are: scented candles (my favourite brands being Ecoya, Cahaya, and Damselfly), on-trend sunglasses (Quay Australia and ByeByeBella), flirty summery clothing (Zimmerman and Spell & The Gypsy Collective), fun stationery from Typo, and goal-centered planners from MiGoals. I’ve spent many an indulgent hour perusing and browsing on CHAPEL STREET: Melbourne’s famous shopping precinct spanning from Windsor through Prahran to South Yarra (think Oxford Street but more quaint and less chaotic) that boasts a mix of hip eateries, brands ranging from international to local, upscale to indie, and everything in between. *and grow your own avocados. ABOVE: Abacus - one of Chapel Street‘s many glossy eateries. BELOW: The famous pink flower wall of interiors shop Lounge Lovers. EEE BB U WAN SUM HOTCAKES?!?! EEE BB U WAN SUM PULLED PORK EGGS BENEDICT?!?! EEE BB U WAN SUM PEACH WAFFLES WITH ICE-CREAM?!?! Although the portmanteau was actually coined by English writer Guy Beringer in his 1895 essay “Brunch: A Plea” in defense of those nursing their Sunday morning hangovers, this delightful weekend ritual is now such an Australian way of life one would be forgiven for thinking that brunch was born in Melbourne. You know that brunch has become part of the cultural landscape when a misinformed real estate mogul blames millenials’ absence on the property ladder on their love for smashed avo on toast. A plate costing $20-a-pop hasn’t stopped anyone from seeking out their of late morning/early afternoon bliss - whether it’s monstrously large hotcakes on a bed of grains, fruit, and flowers at The Kettle Black (above, left), pulled pork eggs benedict at Miss Jackson (above, right), or peach-syrup drenched waffles heaving with ice-cream and...more peaches at Lucky Penny (left). 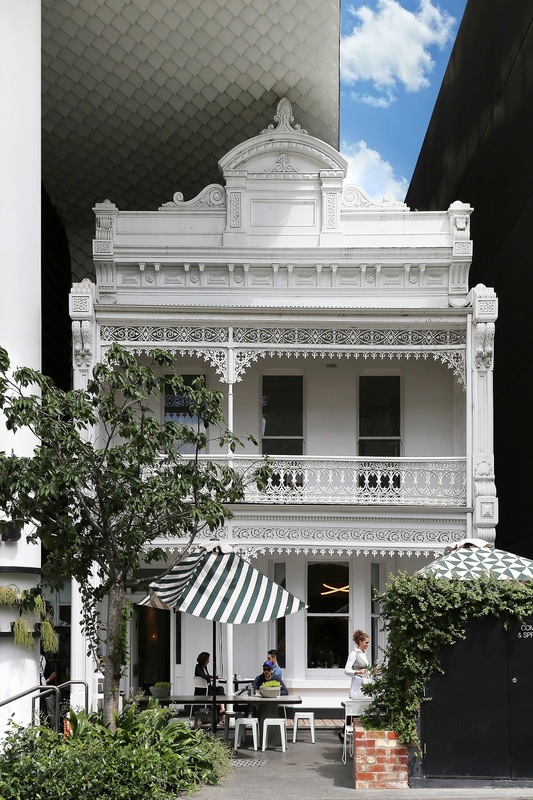 Even the most voracious foodie will have a hard time keeping up with the culinary offerings in Melbourne: what with its wealth of cafes - each one boasting their own individual, imaginative take on classic brunch menu items. THE STATE LIBRARY OF VICTORIA - READING ROOM GOALS! I adore colonial architecture - to me, it's a beautiful marriage of East and West. Australian colonial architecture is especially unique: while it has generally been consistent with Western trends, special adaptations have been made to compensate for distinctive Australian climatic and cultural factors. I have always loved Victorian terrace houses: cozy 2-story structures with verandahs featuring intricate iron lace and filligree balconies with low fences and small gardens. It’s my dream to buy a Victorian fixer upper in the suburbs of Melbourne then fill it with tropical palms and tchotchkes collected from my travels. The UK may have forever spoilt me with her free museums - do you know what it’s like to live around the corner from the V&A and be able to pop in for daily inspiration? Consider me ruined for life. Thank God, the NGV Triennial at NGV INTERNATIONAL was free of charge - no easy feat when you think of how much it must’ve cost them to have Yayoi Kusama cover an apartment in flowers! Museums and galleries I’d happily pay for and visit over and over again include THE IMMIGRATION MUSEUM (left), both NGVs, and HEIDE MOMA, just to name a few - there’s a wealth of outstanding art spanning from the rich history and culture of the country, making for an exciting and unique local art scene. 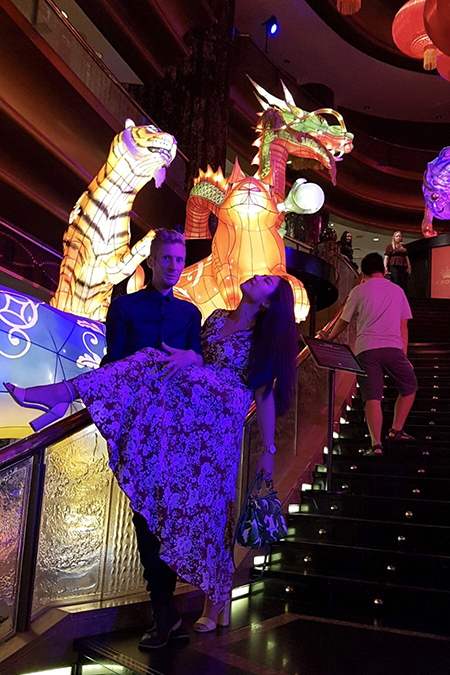 Fun fact - my boyfriend’s nickname for me is Nessie, born on the fateful day I wrapped myself around him like an octopus in the pool at The W Barcelona (“Get off, Nessie!”). Long neck, eats raw fish, loves the water - makes sense. My namesake may be a freshwater monster but this Nessie loves the sea. A buzzing city with a beach culture is just the right balance I need in my life - whether it’s a evening strolls along ST KILDA promenade (left) at sunset in search of fairy penguins or watching the waves from the colourful bathing boxes at BRIGHTON (below). It’s wonderful and oh-so-neccessary for me to be able to go from the hustle of the CBD to the invigorating salt air of the beaches just by hopping on the tram, and just one of the many reasons why Melbourne has what I want in a city to live in. ...and then there’s the nightlife, which - happily for this 30-going-on-50 soberina - involves all the fun of neon lights without having to be intoxicated in a crowded dance floor full of sweaty people. My two favourite Friday night haunts are CROWN CASINO (left) where in an evening I can turn coins into dollars...then spend it all playing crazy golf at HOLEY MOLEY (below). It helps that I may have a hidden talent for golf - at my first ever game, I scored four hole-in-ones. Anyone who ever doubted my athleticism: hunty, I will putt you under the table. Beyond the CBD are gems waiting to be discovered, which fortunately for this SUV-wielding adventurer, are only a dash on the freeway away. During my month-long stay I fell in love with a few surbuban residences and estates. 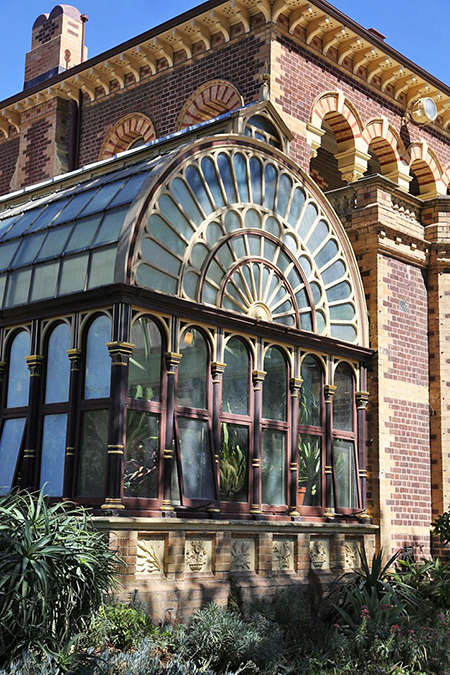 Rippon Lea Estate is one of Australia’s finest grand surburban estates. The historic RIPPON LEA HOUSE AND GARDENS (above, and left) are heritage-listed and added to National Trust of Australia. The mansion is a study in 1930’s Hollywood-style glamour, with exotic plants springing forth in the conservatory. Another discovery in the verdant suburbs of Melbourne is HEIDE MUSEUM OF MODERN ART (HEIDE for short) - a public museum and gallery in three different buildings of three distinctive styles within a sculpture garden and park. HEIDE (below) was transformed from a neglected former dairy farm by Sunday and John Reed, and then turned into their personal Eden and home after 50 years of vision, dedication and collaborations with the artists they championed. Today, the 3 buildings of HEIDE - the original farmhouse, the modern house, and the modern art gallery - are filled with works by contemporary artists. Then there is the 15 acre grounds, boasting more than 30 stunning sculptures including works by Anish Kapoor. THE CAFE ON THE GROUNDS OF HEIDE MOMA. Australia was made for road trips, what with its rugged beauty and never-ending highways. The GREAT OCEAN ROAD is one of the world's most scenic drives along the southwest coast of Victoria. 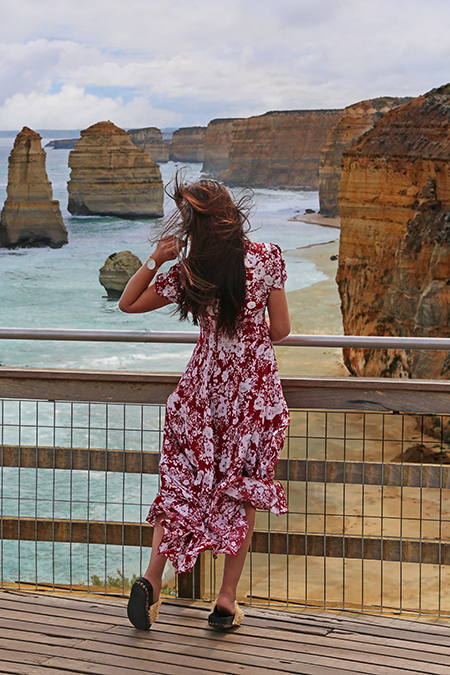 I had the most incredible day trip from Melbourne: we drove from Torquay, stopping at many seaside towns along the way and taking in the salt air and the beaches from lookouts tucked away in forested cliffs, before reaching the piece de resistance: the stunning craggy limestone spires of the 12 Apostles. 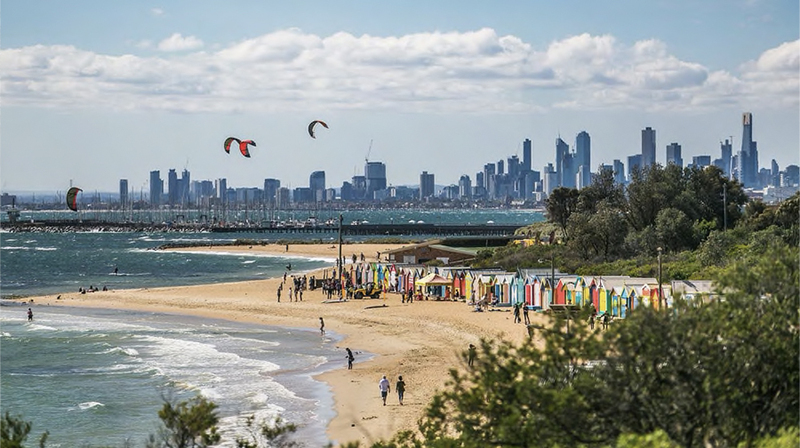 Ideally, this diverse and dramatic region should be explored over a long weekend, but luckily Melbourne is so perfectly placed that even a single day is enough to see the highlights of one of the world’s most beautiful coastal drives. IN THE SPIRIT OF THIS MONTH’S TRAVEL LINKUP: “PLACES WE CAN’T GET OUT OF OUR HEADS”. DO YOU HAVE A CITY YOU’RE SO IN LOVE WITH THAT YOU MAY VERY WELL MOVE THERE?